Keeping the exterior of your home clean is a difficult task. At A to Z Softwash, our Lincoln power washing contractors are here to help you with this immense responsibility. Our team has the knowledge, skill, and experience necessary to keep your property looking its absolute best. Our Cape Cod roofing & power washing company is honored to provide the highest quality exterior cleaning services to Lincoln. In every project we undertake, our team has one simple goal. We work our hardest to achieve the highest level of customer satisfaction possible. Our property cleaning experts would be excited to continue this tradition of excellent service for you. Call our Cape Cod roof cleaning company today if you need help cleaning the exterior of your Lincoln home or business. Our courteous and polite staff would be happy to assist you in any way that we can. Our knowledgeable experts can answer any questions that you may have about our wide range of high quality services. We can schedule your appointment today. The wooden features of your property are the ones that are most prone to elemental degradation. Cedar has a tendency to quickly turn gray. 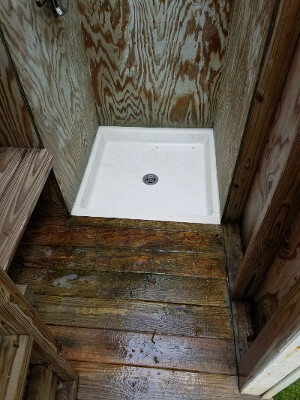 At A to Z Softwash, our cedar restoration service will revitalize the beauty of the distinct features on your property. Via our power washing services, we can get your cedar siding, deck, roof, and other features exquisitely clean. Afterwards we reseal and protect the area for you. You will be amazed at the results. The roof of your Lincoln property has an immense impact on the overall look and feel of your home or business. If your roofing system is dirty and unsightly, you and your family cannot enjoy your property to the utmost. 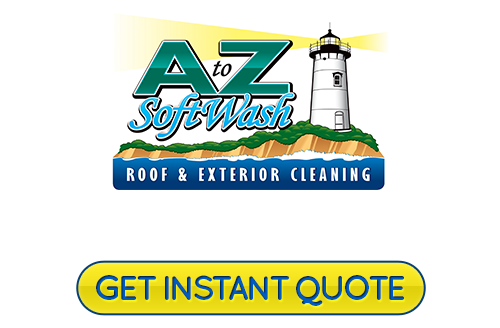 At A to Z Softwash, our Lincoln Powerwashing experts specialize in roof cleaning services. We can customize our efforts to your particular needs and to the type of roof that is on your property. Through our soft washing technique, we can clean and protect the most delicate roofing surfaces. You can feel confident knowing that your property will look fantastic after our efforts. 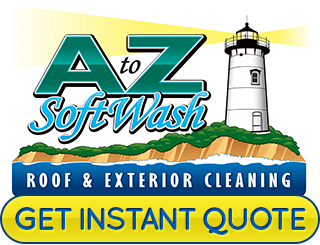 If you are looking for a Lincoln, RI roof cleaning and exterior softwashing service, then please call 508-209-7795 or complete our online request form.